Hi ! 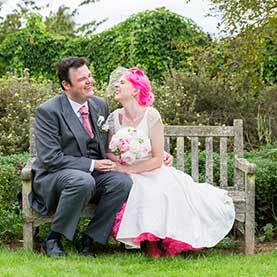 I’m Louisa and I work alongside my husband Duncan as Louisa Dettmer Wedding Photography. We have had the pleasure of photographing many hundreds of wonderful weddings over the last 10 years. We are both full-time award-winning photographers, based in Kent – weddings are all we do and we love them! We are proud to be the preferred photographers for some of Kent’s best venues including Leeds Castle, Eastwell Manor, The Orangery Maidstone, The BarnYard & Marriott Tudor Park. 01634 307867 / 07598 250038 / 07709 304094. We offer all-inclusive packages ranging from our most requested Two Photographer coverage, through to a mixture of One Photographer and One Videographer, as well as a stand-alone Videography package. We just wanted to say a massive thank you for everything you did for us on the wedding day. You guys went above and beyond on the day, you were amazing with all our guests and we had so many lovely comments from friends and family about you both. We both wanted to say a massive thanks for all that you did on our wedding day to make sure all went smoothly.We received some lovely comments regarding how lovely you both were.